Once a sleepy fishing village, Takoradi has prospered since becoming Ghana’s first deepwater seaport in 1928. 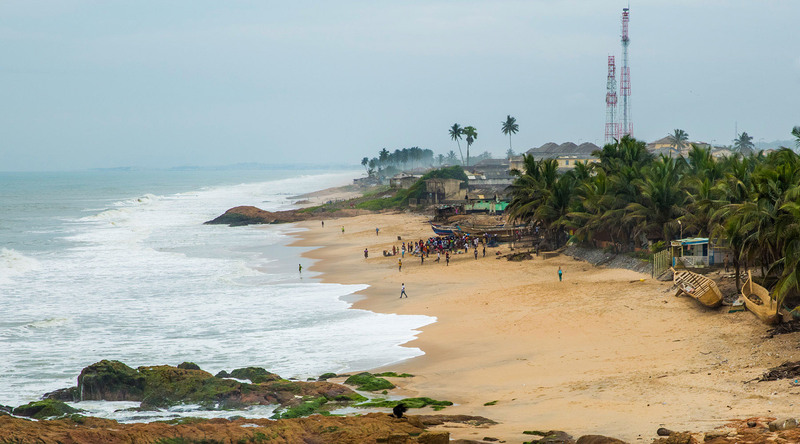 Along the shore in the south of the city, laid-back beach vibes abound, but explore deeper into the heart of Takoradi (called Taadi by locals), and you’ll uncover a hub of activity that embraces traditional African life and modern commerce. Make for Market Circle in the city center. A large circle of shops and business form the outer edge of the market, with a maze-like collection of smaller shops and stalls inside. Listen for the “thwack” of vendors deftly wielding machetes to crack open fresh coconuts, and watch as teetering stacks of goods parade past on perched on heads of locals. The very core of the market is the best place to sample authentic Ghanaian street food, like jollof rice (similar to Spanish paella), fufu (a hands-on cassava and plantain porridge), and chichinga (kebab skewers of chicken, lamb, or something more exotic). For a break from the city that’s close to port, settle into a little slice of paradise at Africa Beach Resort. You’ll experience famous Ghanaian hospitality, with exceptional views of the Atlantic and elevated dining options. They say people make a place, and Takoradi is living proof. 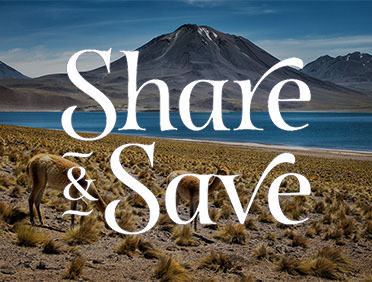 Discover it for yourself on West African cruises with Azamara Club Cruises®. Originally built as a trading post by the Dutch in 1642, the original lodge was fortified in the early 18th century and was ceded to the British in 1872. Today, the fort acts as a lighthouse for the busy Takoradi Harbor and offers excellent views of Takoradi and its sister city Sekondi. A UNESCO World Heritage Site, the castle was the first European structure, and first slave trading post, in sub-Saharan Africa. Gain a new perspective on this castle that represents a dark aspect of world history, where slave cells were located just one floor below comfortable living quarters for Portuguese soldiers to eat, sleep, and socialize. The relationship between man and nature is uniquely highlighted in this 400-year-old settlement. Meaning “surface of water”, this intriguing village perched on Lake Tadane is a UNESCO World Heritage site. The lake is central to the locals’ daily life and is the site of schooling, worship, and baptisms. If you arrive on a Thursday, you won’t find much on the go—it’s a sacred day among locals and any strenuous activity is forbidden. See two of Ghana's UNESCO World Heritage Castles, the Methodist Cathedral, and enjoy a lunch by the beach where you'll enjoy African drumming and dances. Journey to Kakum National Park for a hike under and over the jungle canopy, followed by a palm oil extraction demonstration, and lunch at a local hotel. Drive to Takoradi and Sekondi towns visiting the Albert Bosomtwi-Sam Fishing Harbour, Takoradi Market Circle, and enjoy a cultural show by the beach.